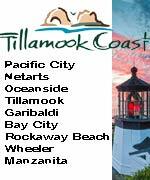 (Oregon Coast) - There are a handful of new eateries on the Oregon coast, a new vendor for horseback rides in Tillamook County beaches, a group in Yachats took in enormous amounts of donated food, SeaPort Airlines just made things a little easier – and a major alternative rock band has a little connection to these beaches. Cannon Beach finally got a wine bar. Why that took so long in that locale is indeed puzzling. Fine food and even finer wines are the centerpiece at Lush Wine Bar, which touts itself as having the same kind of relaxed atmosphere as the beach itself. It’s in the midtown section, across from the big access that’s close to Haystack Rock. 1235 South Hemlock Street. Cannon Beach, Oregon. (503) 436-8500. Right nearby, sharing the space with the Sleepy Monk Coffee Company, is Irish Table Restaurant. When that coffee place goes to sleep, the Ireland-themed restaurant takes over for the evening hours. 1235 S. Hemlock. Cannon Beach, Oregon. 503-436-0708. 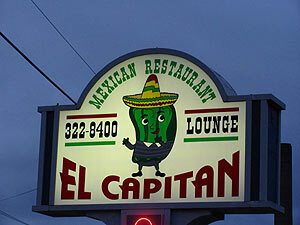 In Garibaldi, a new Mexican eatery opened up: El Capitan. It’s right on 101 in Garibaldi. 503-322-8400. 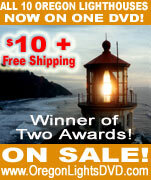 In Depoe Bay, this summer is now boasting All Great Things Cafe, with an emphasis on vegetarian and gourmet godies. 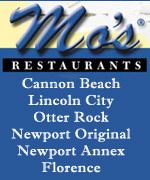 It's next to the office at 488 S. Hwy. 101. Depoe Bay, Oregon. 541-765-2808. Alternative Rock Band The Fratellis Connected to Oregon Coast? 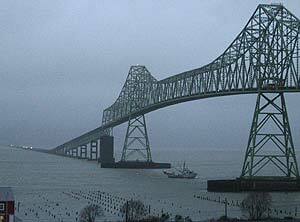 Not directly connected – but you can draw a line that connects Scottish band The Fratellis to Astoria, Oregon. 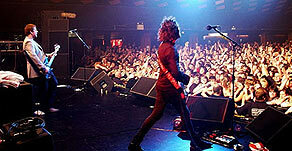 But first there’s sad news: for those who didn’t know, The Fratellis broke up earlier this year. But the band that specialized in quirky burlesque-esque imagery, it turns out, did indeed get its name from the film, “The Goonies,” which was filmed in Astoria. 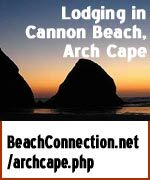 BeachConnection.net contacted Tony McGill, who worked on booking the band before its demise. Singer Jon Fratelli did some dates in the U.S. this summer. The Astoria Chamber of Commerce wasn’t able to confirm this connection when they researched it earlier, according to one official. So the town definitely did not have The Fratellis as part of their big anniversary celebration this summer. Maybe next time. BeachConnection.net would vote for it. The Fratellis are regularly heard in this office. 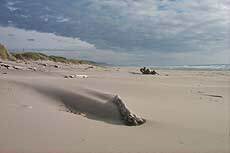 Horseback rides are now available on the Nehalem Bay spit. This summer has featured a new way to go horseback riding on both the Nehalem Spit and in Pacific City. 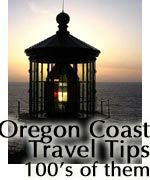 Oregon Beach Rides will charge you about $55 for rides in either area, and they recently added Carriage Rides. 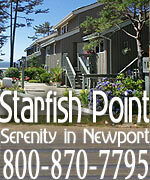 You’ll find them at Bob Straub State Park in Pacific City and Nehalem Bay State Park near Manzanita. 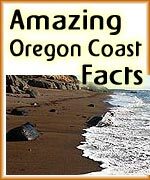 www.oregonbeachrides.com or call 971-237-6653. The group that flies you in and out of Newport and Astoria has a new arrangement for ticketing and baggage. Rob McKinney, CEO of SeaPort Airlines, recently informed the cities of Newport and Astoria that SeaPort Airlines has signed an interline ticketing and baggage agreement with US Air. An interline ticketing agreement will allow passengers to purchase a ticket from any SeaPort station to any airport serviced by US Air. The baggage agreement will allow bags to be checked through from Newport or Astoria onto connecting flights with US Air without having to retrieve bags at PDX and recheck them. Last month, the Overleaf Lodge & Spa and Fireside Motel – owned by the Winkster family - collected 5,404 pounds of canned food for the Waldport Food Share Pantry during their a food drive in July. The management group said it felt the need to do something to help the hungry in south Lincoln County, and their enthusiasm led to the gathering of nearly three tons of non-perishable food. 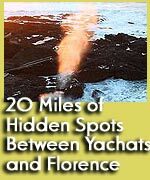 Locke said the group has been doing business in Yachats for more than 25 years. 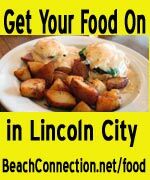 “With current economic conditions, we are seeing a real dip in donations,” said Joyce Thompson Graham, Agency Relations Coordinator at Food Share of Lincoln County. She said donations are down, but the need remains strong. As part of the Oregon Food Bank network of pantries, all cash donations to the Waldport Food Share pantry help recipients purchase more food per dollar, stretching the donor’s gift a long way. The Waldport pantry, which serves residents of Seal Rock, Waldport, Tidewater, and Yachats, provides food to between 400 and 500 people each month, distributing about 7,000 pounds of food. 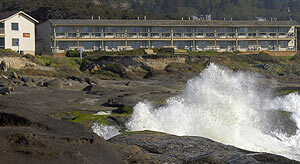 The Overleaf Lodge & Spa is located at 280 Overleaf Lodge Lane, Yachats, Oregon. 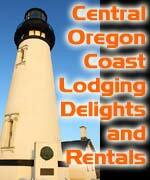 800-338-0507. www.overleaflodge.com. 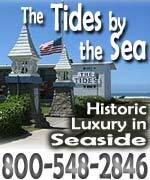 The Fireside Motel is at 1881 Highway 101 North, Yachats, Oregon. 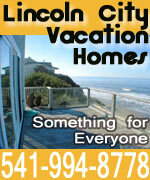 800-336-3573. www.firesidemotel.com.